Sultry weather is back but the cool way to pass the time is to follow us and join us at our many events! Rick has a few historical shows and Tim with Rick will be up at the Old State House; Joseph will be playing a private gig and Cliff is prepping us for a show in Madison towards the end of the month. Come look at our schedule and mark your own calendars accordingly! And come back here often… As events draw near we’ll give you details and such. This entry was posted in Uncategorized on 28/07/2015 by JosMorn. 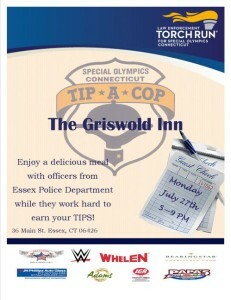 Monday the 27th is the annual Tip a Cop night at the Griswold Inn. Police aid in the serving and run a raffle, all in the cause of raising funds for the Special Olympics. We will work along with them, handing over the mic for announcements and the raffle. Come show your support! This entry was posted in Uncategorized on 21/07/2015 by JosMorn. Or magazine, really. Thank you for the thirty-some-odd of you who spied this and sent it on!! 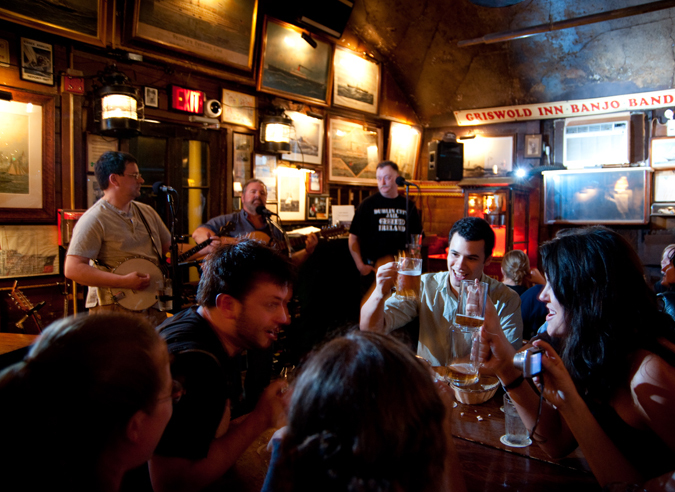 It’s an old pic in pre-Rick days… One of several Griswold Inn promotional shoots they did. 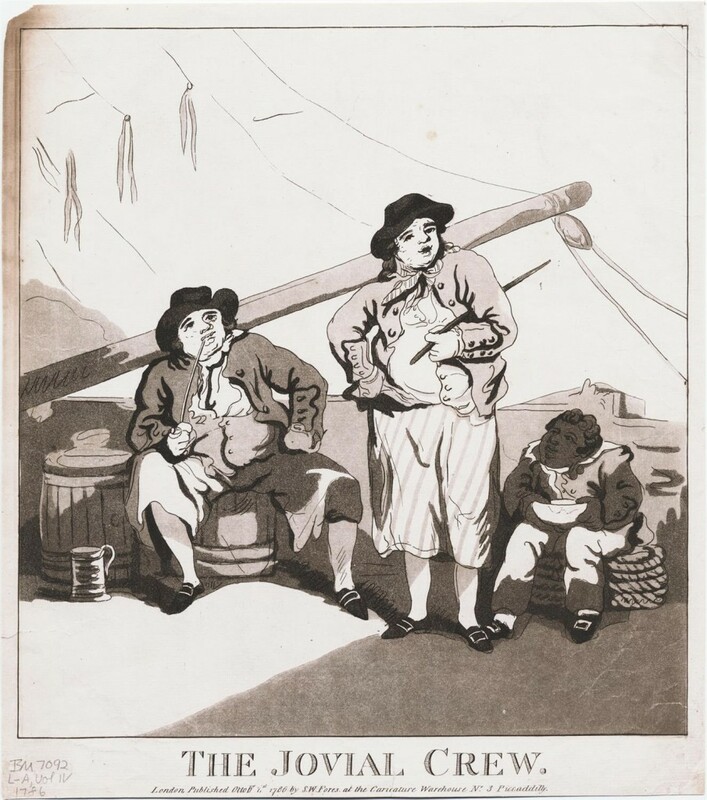 But along with the Gris we are cited in Town and Country Magazine in an article citing the lower CT River Valley as “the new Hamptons”. This entry was posted in Uncategorized on 20/07/2015 by JosMorn. Our own dear Jim Martin (James Ralston Martin – architect) has suddenly and unexpectedly passed in his sleep this past Saturday night, 11 July 2015. He was out in Wyoming visiting his daughter and brand new grandbaby. There are many who plan to come “bury him at the bar” tonight… We’ll sing for him so bring your best voices. He had requested of me the song Life of a Leaf at several music social gatherings and so I may pull that out early in the evening. Sail on to your next adventure, Jim, we’ll see you soon enough. 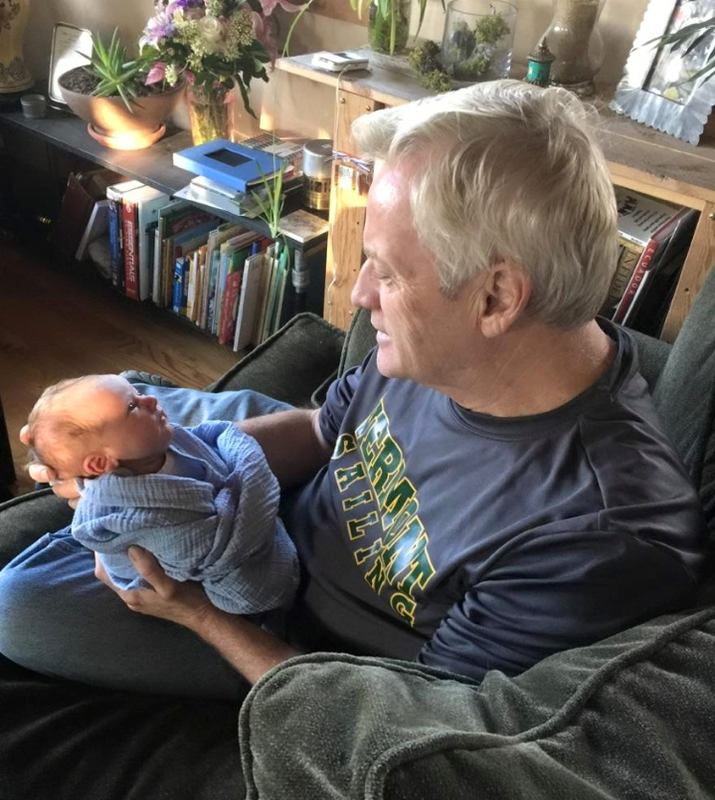 The last photo of Jim, holding his new grandbaby Svea Lace Bronsan. A fitting photo. He has been called Home in Heaven above. He has left behind family, friends, and dreams. Sadness fills the air. In due time, happy memories will beam. Thank you, Jim, for your joy of life, music, nature, and the Sea. Rest in peace dear friend, in safe harbor you will forever be. This entry was posted in Uncategorized on 13/07/2015 by JosMorn. This entry was posted in Uncategorized on 10/07/2015 by JosMorn. I have just been informed that this Monday, being July 6th, is National Kissing Day! Oh, this’ll be good… So says every webpage I’ve been directed to but Facebook which insists it’s the 7th… Facebook loses, it seems. This entry was posted in Uncategorized on 04/07/2015 by JosMorn.